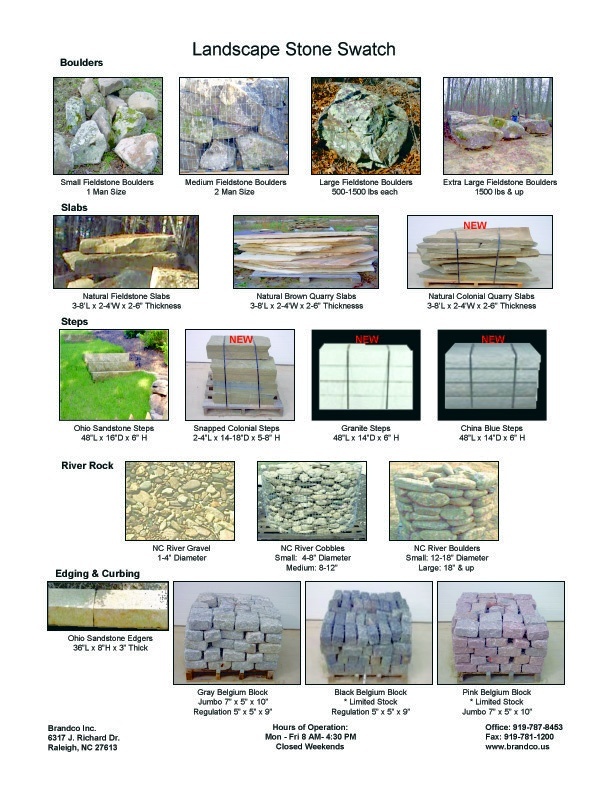 Natural Landscape Stone includes boulders, slabs, river rock, edging and curbing. Materials are used for decorative landscaping purposes. They are also used for Koi ponds, stone bridges and dry river beds. Click HERE to download our latest brochure of landscape stone options.